Night Vision 5.1 is here! 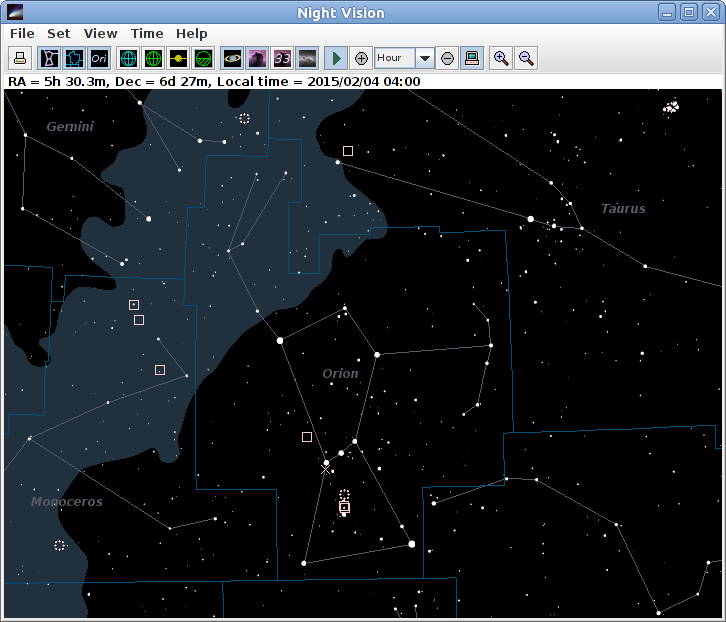 Night Vision is a "planetarium" program that will display the heavens from any location on earth. 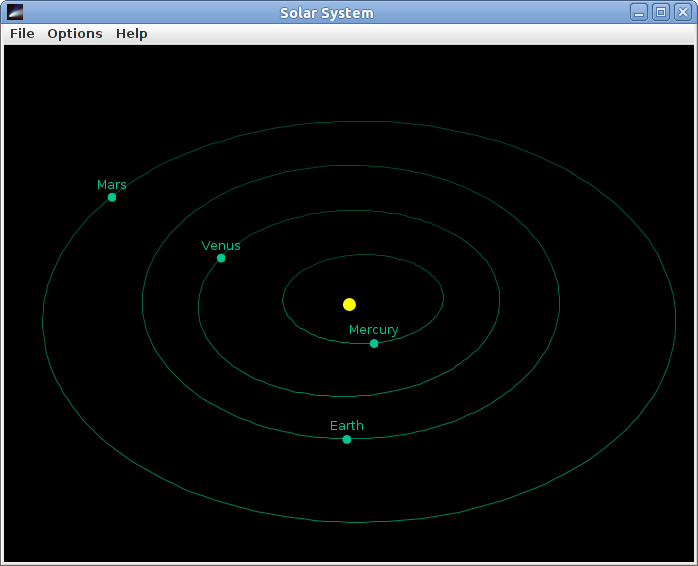 Viewing options allow the user to control which sky objects to display, which font to use, and manipulation of various star parameters. Time may be set to run at multiple speeds, including backwards. Star charts may be printed. Use the mouse to manipulate the view. Dragging will re-position as desired. The mouse wheel zooms in or out. Night Vision has been designed to be readily translable into other languages. See the online help for information. A Russian translation of (a previous version of) this program appears here. Mac OS X users can click here (21.8MB) to get a self-installing package. Click here if installing to OS 10.8 Mountain Lion or later. Users of other operating systems, and those who prefer manual installation, can click here (18.1MB). (Download to a clean directory, unzip, and use a web browser to follow the directions in nvj.html). Source code is available here (18.2MB). If there is an issue with the latest 5.1 release, the 5.0 release is still available: Windows (18.6MB), Mac OS X (21.8MB), Linux 32bit (22.2MB), Linux 64bit (23.4MB), manual install (18.2MB), and source (18.2MB). Mac and Linux installable packages are created with BitRock InstallBuilder, a crossplatform installer builder. "It is straightforward, informative, intuitive, fully customisable and generally a joy to use." Subject: [NV] Like your program! so that it is easily distinguishable from SPAM and is less likely to get inadvertently deleted.